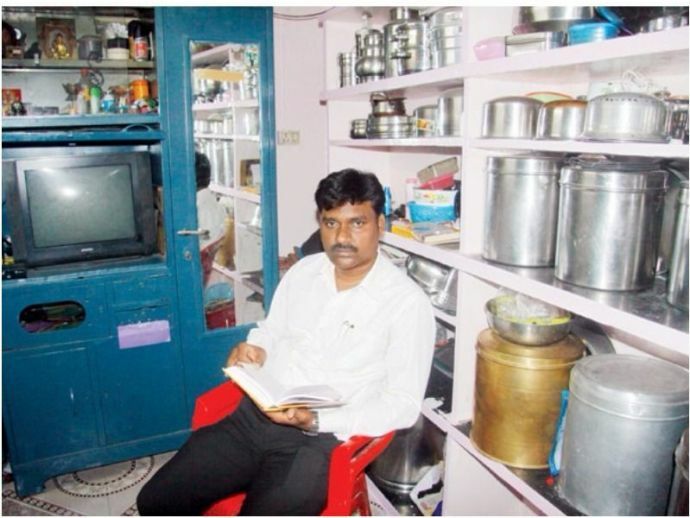 Rahul Pol's Journey From Being A Goon To Joining Magistrate's Chair In Pune Is Incredible! Has it not been for Shaiyra, today Rahul would have been a goon. Recently, MD and CEO of Axis Bank spoke on why is it important to choose a right life partner! If you're looking for an evident example of this speech, then you should know about Rahul Balbhim Pol's story. Rahul, a 37-year-old man from Pune was on all wrongs paths, after failing in Std X. Rahul got into bad company and was on the verge of becoming a goon. But everything changed when he got married Shaiyra Shaikh alias Sangink, who is a lawyer by profession. Rather than crying over the situations, Shaiyra decided to encourage her husband and motivated him to pursue law. On his wife's advice, Rahul decided to appear for the Public Service Commission examination, which he cleared this year after multiple attempts. His years of hard work finally paid off and today he is all set to join the judicial magistrate first class (JMFC) in June. Remembering the past Rahul said, "My parents took a lot of pain to educate me, but I failed in my Std X examination. With no option left, I had planned to become a goon. But later, I decided to sit the exam once again, and that is when I cleared it. Thereafter, I completed my BCom and landed a marketing job. At that time, I met Shaiyra and married her." "Shaiyra motivated me a lot. She is my pillar of strength. Whatever I am today is because of her. I have been practicing as a lawyer since 2011. As I wished to do something for society, I started preparing for the Public Service Commission examination and finally cleared it this year.," he further added. Rahul says that his motive is to help the poor and underprivileged people "who have little understanding of the law and have to wait for justice."